A 24″ deep porch that works well over wider front doors and windows or more generous patio doors. 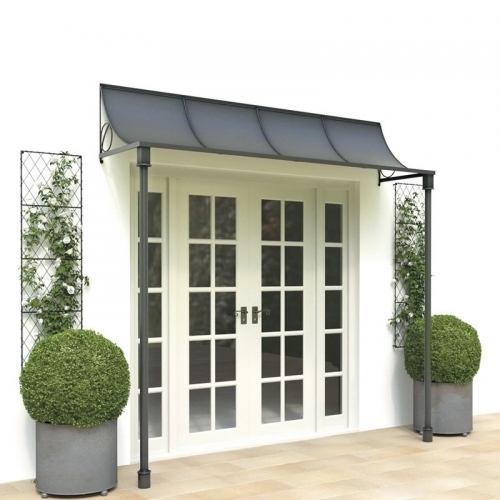 The column supports offer a pared down solution when a simpler porch design is required. Any size made to order. Our ironwork porch is the perfect cover for our new glass doors overlooking the terrace and is exactly what we had in mind.